If you like this free game, try Living Legends: Frozen Beauty. Novelist Edward Grand has found evidence of a terrible tragedy in the city of Rosemount and sets off to investigate in Living Legends: Ice Rose! 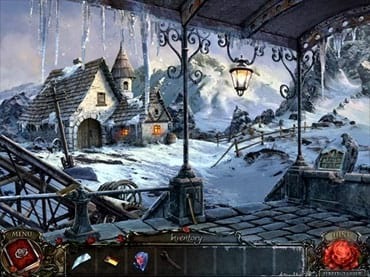 Help Edward gather information for his new book and explore the Castle of Ice Queen in this incredible Hidden Object Puzzle Adventure game. Scour the frozen landscapes and thaw out important locations as you solve an intriguing mystery in free game Living Legends: Ice Rose! Free Game features: - Find hidden items and use some of them to help you with the challenges; - Discover objects and curios along the way as you scour the town searching for Edward; - Unlock new scenes by completing a variety of puzzles; - Free full version game. If you have questions about Living Legends: Ice Rose game, please contact us using this form.